All capacities of hotels directly in Celje are fully booked for the main event. Anyhow should you be staying only one night at begin or end of the dogshow, take a look at information on Celje hotels with limited capacities, you may still find a free room in Celje. For hotel rooms close to Celje, the cheap pensions are also nearly booked-out, leaving the three star hotels as the cheapest option for the late bookers. Due to the fact, that event is starting in less then one month, reservation must be prepaid within 5 days, otherwise we pass the room to other people requesting. 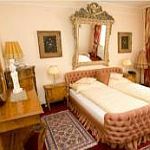 Until the 3rd September there have been 254 definite rooms bookings placed with us and the remaining capacity is for only 50 rooms. Hotels in Celje and within 20 km are accepting only customers who stay at least two nights (and in some cases minimum three nights). Anyhow for attendees for one night, we can arrange accommodation, that is only 30 minutes driving time from Celje. Several option from 70 € per double room are available. For clients arriving on 2nd October and for anybody who wants to book single room, we still have last rooms directly in Celje. For both single and double occupancy, the upscale Celje Hotel Evropa remains the last option, that is still bookable. Should you need just single room, then there is still the Hotel Grande Celje, which is with 500 meters the closest hotel next to the exhibition center. The price of single room is 90 EUR per night inclusive all taxes and buffet breakfast. Hotel Faraon Celje joined other properties (Hotel Štorman, Pension Hochkraut, Hotel Celjska Koča) in the town of Celje in Slovenia, that are desperately booked-out for the dog-lovers event of the year - the European Dog Show 2010. With the first entry deadline (10 June 2010) coming closer there is less rooms available in reasonable distance to Celje. 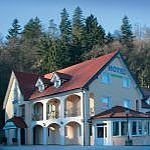 We have 10 rooms at Hotel Žonta (mostly double rooms) with prices from 78 EUR per night and 2 rooms at Pension Gostisce Bohorc for only 63 EUR per night for single occupancy. 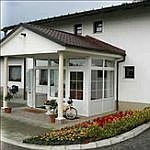 See more details about dog friendly hotels around Celje and do not hesitate to make your non-binding request by submitting the form on this website. Our prebooked capacities for hotels in Celje are nearly fully booked. We offer last 9 rooms in three middle-class and up-class hotels, that are within 5 minutes driving from Celjski Sejem Exhibition Area. The hotel Štorman, hotel Celjska Koča, pension Hochkraut, all located directly in Celje are already fully booked, as well as several pensions and hotels in nearby city of Laško. To book one of three dog-friendly Celje hotels, that are still available (Hotel Evropa, Hotel Grande & Hotel Faraon) or any of hotels & pensions around Celje, please fill in the non-binding request form above. We currently offer nearly 30 hotels, pensions, inns and apart-hotels for the participants at 2010 European DogShow in Celje. The hotels are located directly in Celje, as well as in nearby towns and villages (many of them less than 15 minutes driving time). To see the available hotels located directly in Celje click on the 'Hotels in Celje' link on left and for the hotels and pensions around Celje see the list of lodging properties in 'Accommodation around Celje'. To make inquire about availability feel free to contact us by email with some basic information about number of people and dogs, that will travel to the biggest dog exhibition in Slovenia of all times. We are taking reservations of accommodation for the European Dog Show 2010, that is taking place in city of Celje in Slovenia from 30 September till 03 October. Until end of April we accept only bookings for minimum of 3 nights, bookings for shorter stays are being registered on waiting list. Currently the offer still includes hotels located directly in Celje, as well as several group hotels within 30 minutes driving time from the venue, although we expect these to get filled quickly.